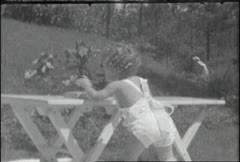 The collection consists of home movies depicting the Adkins farm in Cordele, Georgia. 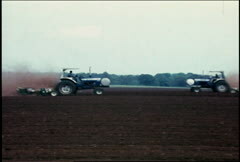 Scenes include cotton in 1976; corn and peanut planting; and footage of a backhoe. 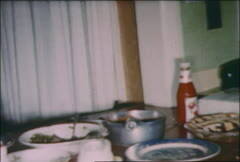 The collection consists of home movies from the Alberts family. 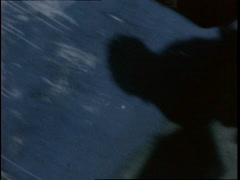 The footage is primarily family scenes involving James Alberts' young daughter, Jill, in the first three years of her life. One reel of footage was taken aboard the "Eastward E-7-68" marine research vessel. Other locations include New Hampshire and Natureland. The collection consists of footage taken from a trip to Barcelona and Costa Brava, Spain, and other family footage taken in Macon, Georgia upon their return from the trip. 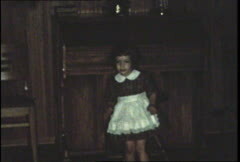 Much of the footage of Spain is of Bernard's daughters and includes their first communions and various birthday parties. Also included are shots of street festivals, a Palm Sunday festival, and northern Spain (including Viella and the border of France). 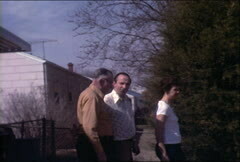 The collection consists of home movies of the Berry family, who lived in Pennsylvania.  Included is footage of their home life, including birthdays, holidays, scenes of children playing and dinner parties; family trips and vacations to many locations including Atlantic City, deserts in the western United States, Disneyland in California (some footage of various rides is included), Yosemite National Park, and Busch Gardens in Florida; and other significant events in their lives. The collection consists of footage of Gordon and Macon (including downtown scenes), Georgia, and families based in Gordon. 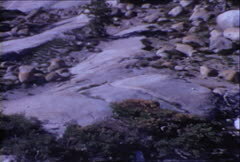 There are also some early home movies of a kaolin mine's operation that were transferred from their original 16mm to VHS in the 1980s ; the Walter J. Brown Media Archive does not have the original 16mm film. Also included is footage of numerous beach vacation trips in Georgia and Florida, mountain trips, picnics, a trip to England and Scotland, scenes of Central of Georgia railroad trains and stations, a mobile x-ray clinic for tuberculosis, family pets (cat and dog), birthday parties, Zoo Atlanta, Willie B. II gorilla, petting zoos, parades (including centennial of the Civil War parade and a Halloween parade), the Gordon mines, Rock Eagle, Warner Robbins, and miscellaneous family footage. The collection consists of family home scenes in Alabama in the early- to mid-1960s including baby bath time, Christmas, snow scenes, a cemetery visit, a highway trip to Chattanooga (gasoline selling at 27 cents/gallon), the Smokey Mountains, a small zoo, downtown Scottsboro, AL; a winter ice storm; the Sam Houston historic schoolhouse in Maryville, Tennessee; and a trip to Jamaica. 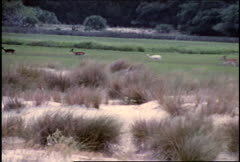 The collection consists of 8mm home movies from the Dunn family depicting Mexico and the Yucatan, California, Georgia, the Everglades and Jekyll Island. Also included is footage of a wedding. The Ethridge home movies depict life on Southern farm land which was originally settled in 1799 and is now known as the Shields-Ethridge Heritage Farm. 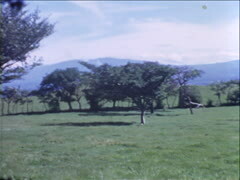 The films specifically document the mid-20th century (since 1939), showing Georgia farm life, and the family and Southern travels of Ira Lanis Ethridge. Major Gibson’s black and white and color home movies span 1942 through 1954 and document family life in base housing, time off with several groups of friends, the interior of base offices, bomber aircraft, and a parade in Butler, Georgia. 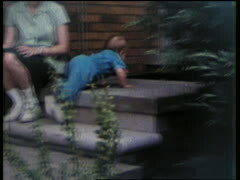 Particularly of interest is footage of the Gibsons’ son, Bill, as an infant in what is a very typical family home movie scene - walking and crawling on the lawn outside the home with his mother, Wilma. What was a rather ordinary scene becomes more interesting when Mrs. Gibson holds up in front of young Bill a sign reading "14 August 1945 V-J Day Today." 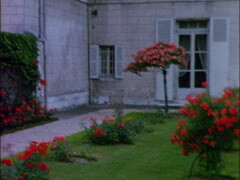 The collection consists of home movies of Geneva Grant's family. Included is footage of Macon, Georgia; a wedding; the family's home; Christmas; Hollywood Beach and Miami, Florida; and Six Flags Over Georgia shortly after it opened. 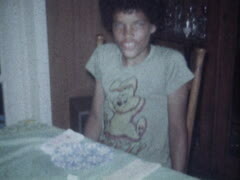 The collection consists of home movies from the Hammond family. Included are scenes from World War II, home life, Christmas, a farm and a lake. 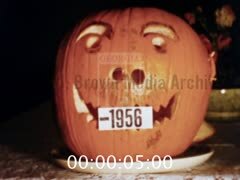 The collection consists of Louis C. Harris, Sr.'s entire home movie collection (1942-1960) of silent, black-and-white and color, camera-original, 8mm and 16mm home movie footage shot between 1942 and 1960 in Italy; Algiers; Augusta, Georgia; Florida; South Carolina; and Yucca Flat, Nevada; and three commercial 16mm films. 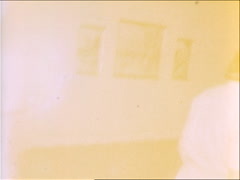 The National Film Preservation Foundation generously funded full film preservation of several reels of Mr. Harris's home movies. Three reels of Kodachrome document a July, 8 1953 soap box derby sponsored by the Augusta Chronicle. But three months before this innocent American pastime, Mr. Harris was invited by the government, as a member of the press, to witness a 16-kiloton atomic blast at Yucca Flat, Nevada, on March 17, 1953. He made a short Kodachrome 16mm film of his trip west which includes scenes at the Phoenix, Arizona airport; day and evening shots of the Las Vegas Strip including the famous "Vegas Vic" waving cowboy neon sign erected in 1951 (the Pioneer Club casino which it advertised closed in 1995); at Indian Springs AFB where atomic bomb drop planes were being "decontaminated" with water and brooms after blast flyovers; at the test location with other journalists being briefed; the atomic blast itself; and colleagues present just after the test. His newspaper accounts of the events that week (available on microfilm in the UGA Main Library) describe the safety of the test and the need for Americans to prepare for potential nuclear war. The family's papers and Mr. Harris's home audio disc recordings are also at UGA. 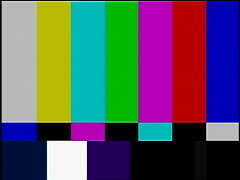 The collection consists of Harlan family home movies featuring a California vacation, a new baby, Christmas celebrations, New York City, Philadelphia, New Jersey, Washington (D.C.), a prom, and a graduation. 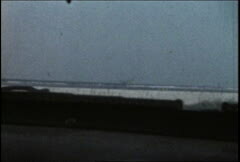 The collection consists of footage shot in various locations, including Orangeburg and Edisto Beach, South Carolina (c. 1946/1947); Iran and Portugal (1964); and Berlin, Prague and Portofino (1965). There is also footage of marlin fishing in Mexico in June, 1965. Included is a purchased black-and-white film about Florida water park acts entitled "Aqua Frolics." 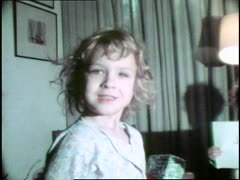 The collection consists of home movies from the family of Dr. Gail Jackson. Included is footage of a 1947 road trip on Route 66 West from Joplin, Missouri to Flagstaff, Arizona, the Grand Canyon, Utah and Colorado, and other locations; a 1948 trip through the Tetons, Yellowstone, Cheyenne, etc, and a dude ranch; a Castle Heights graduation featuring Bernarr MacFadden; an Officer Candidate School graduation in Newport, Rhode Island; and miscellaneous events in the family's life, such as scenes of the farm and home, snow in Vincennes, and a birthday party for Frederic L. Jackson. The Kaliska-Greenblatt Home Movie Collection is the most locally significant film footage in the home movie collections of the Walter J. Brown Media Archives. The films were taken by William Kaliska and his friend Sidney Greenblatt of Atlanta, Georgia. 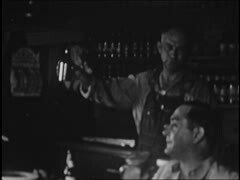 Mr. Kaliska's films date from the late 1920s to the mid-1930s and show the enthusiasm he had for taking film footage of the varied events he was involved with as a marketing manager for Coca-Cola. The films include the earliest known films of the UGA campus, being scenes at Harold Hirsch Hall (Law School), around the time of its dedication in 1932. 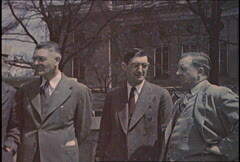 Prominent in the group of people in that shot is Coca-Cola's then Vice President in Charge of Sales, Harrison Jones (UGA Class of 1900), later president of the company. 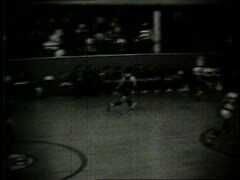 This same reel contains the only known footage of Moses Michael, longtime Athens resident. 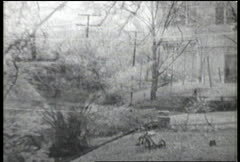 His wife Emma appears with Jean Kaliska in the footage, and the young couple in the segment are the Michaels' son and daughter-in-law, David and Sarah Hall Michael and their children, at their house on Milledge, next to the Phi Epsilon House. Mr. Kaliska filmed carving work on Stone Mountain in 1929, and several university sporting events: a regional track meet at Georgia Tech's campus which includes Olympian Ed Hamm, and the UGA vs. Tech football game in Athens in 1929. He was also in Athens in Sanford Stadium for the UGA v. Tech baseball game and Senior Parade of 1929. Mr. Kaliska also filmed Tech football player Stumpy Thomason and the bear "Bruin" who is shown drinking a Coca-Cola. In July 1930, he was filming from a window of a building along Peachtree Street in Atlanta to capture parts of the July 1930 tickertape parade for Bobby Jones's Grand Slam. 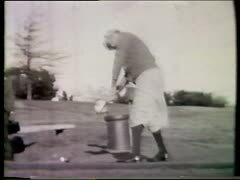 The reels also include a trip to Miami that Harold Hirsch took with family and friends. They stayed at one of Miami Beach's most prestigious hotels, the Roney Plaza Hotel. 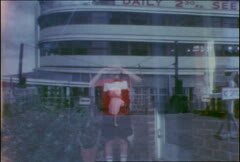 Aside from this and other archival footage, the original Roney Plaza exists only in old photographs and postcards. Hirsch's daughter, Ernestine, and cousin Jake's wife Marjorie and her son Jack are shown sunning at the hotel beachfront. During the trip, Hirsch's group cruised Biscayne Bay, and there are views of many long-gone Miami beachfront buildings, an alligator and an ostrich farm, Seminole Indians, and other cruise ships and lines which regularly traveled to Cuba. Mr. and Mrs. Kaliska were dog fanciers and owned schnauzers. A brief segment of the footage includes Beno Stein, a dog trainer in Atlanta, likely connected with the Atlanta Kennel Club, putting several dogs through a routine around a training obstacle course. 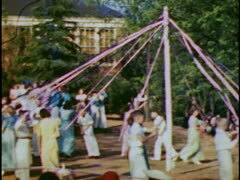 One of the reels is of a garden party at the Atlanta mansion of Robert and Nell Woodruff (Coca-Cola magnate and his Athens-born wife) for the wife of a California Coca-Cola executive who was visiting Atlanta. Another depicts a day of fun at the Brookhaven Country Club in 1939 - pitching horseshoes, swimming, golfing, and several people drinking Coca-Cola. 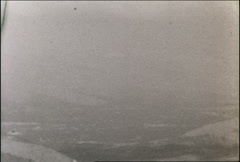 There is also footage of a ride in the Goodyear blimp "Defender" from Atlanta Airport around 1930; the footage was used in a 2007 Georgia Public Broadcasting documentary, The South Takes Flight: 100 Years of Aviation in Georgia. The Kaliskas and friends filmed a vacation to the Cumberland Gap area and Nashville, including President Polk's grave, and Kentucky. There are summer camp scenes shot at Camp Victor, connected to the Atlanta Hebrew Orphans Home. There is also footage of the family of prominent Atlanta businessman Victor H. Kriegshaber at their home. 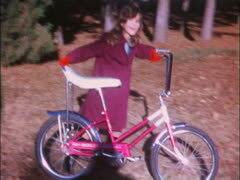 The collection consists of home movies from the McNeel family. Highlights include footage of McNeel Marble Company, a large builder of monuments located in Marietta, Georgia.